As you get set to ring in the new year, here’s what you need to know about Champagne before making that toast. Bloomberg’s Elin McCoy reports on “Bloomberg Markets.” Click here. The rest of his interview can be found here. Elin McCoy needs little introduction. She is a well known wine writer with a long history. 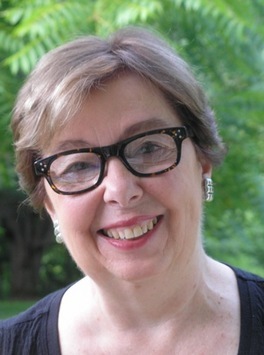 Her articles have graced the pages of Food & Wine, The New York Times, Bloomberg Markets, as well as Zester Daily. One of Elin’s best known works must be her recent book entitled, “The Emperor of Wine: The Rise of Robert M. Parker, Jr. and the Reign of American Taste.” This fascinating take on “the most powerful critic on earth” is a must read for any wine lover, and we’re giving away a copy today! In association with Zester Daily, Snooth is running a great promotion, we are giving away a title from a Zester Daily contributor each day with a grand prize winner taking home the whole collection. Click here for details, and enter today to win your copy of Elin’s book. Snooth: Which came first, a passion for writing or a passion for wine? Elin McCoy: Definitely a passion for writing! I decided to become a writer when I was five years old and wrote a poem while riding in the car on a family trip. Naturally, my wine passion came a little bit later. Snooth: What was your epiphany moment with wine? Do you remember the wine that sparked your imagination and do you remember what first steps you took in pursuit of your new found passion? EM: I’ve had several wine epiphanies. The first was a bottle of Pouilly-Fuisse – I don’t remember the producer – when I was 14. My father had taken me out to dinner at a French restaurant in Chicago and allowed me to have a small glass of the wine he’d ordered. I felt incredibly grown up sipping it, paid close attention to every taste and smell, and vowed to learn more when I was older. Tastes of Mayacamas Cabernet and Heitz Martha’s Vineyard in the 1970s convinced me to write something about California wine, which didn’t have much cachet on the east coast at the time. I joined a tasting group, started visiting wineries and ended up co-writing my first wine book. My first taste of DRC’s La Tache, in 1981, taught me that wine could be truly profound, with layers and nuances of flavor and a sense of terroir that I didn’t know existed. I started trying to track down every wine that someone had called profound. Snooth: The current generation of aspiring wine writers face a new paradigm with many wines now priced out of the reach of most people and fewer professional writers to act as role models. What advice would you give to someone who aspires to fill your shoes? EM: First: Learn to write. The principles of good writing are the same, no matter what subject you write about. Start a blog and write about what you are discovering to help you find your own voice and style. Go beyond the `I went to this winery and here’s what I tasted’ approach or tasting notes with references to every possible fruit. Look deeper and find your own angle. Second: Know what you’re talking about. Read, travel, ask questions, drink, gain experience. If you live near a wine region (and wine grapes are now grown in every state), get to know your local wineries and winemakers. Third: Develop your palate. Taste as much as you can. Whenever possible, try two wines side by side to train yourself to identify differences and similarities and find out what intrigues you. You can do this with inexpensive wines, just as well as with expensive ones. Frequent wine bars where you can taste amazing wines without having to buy a bottle. Go to free wine store tastings. Form a wine tasting group with other serious tasters. But, and this is a big but, don’t just taste wine in a vacuum. Drink it with food. Order it in restaurants. Look for context. Once again, experience is everything. Fourth: Learn to recognize a good story. The best wine writing today goes beyond wine reviews with (usually boring) tasting notes. Instead it aims to illuminate the world of wine – people, places, issues like climate change, business and more. Be curious. Track down what’s compelling and timely – a new under the radar winemaker with a fascinating background, how wineries in a region are coping with climate change, etc. See wine as a big picture. Fifth: Think like a journalist. Be skeptical. Don’t just embrace the latest new thing. Develop a code of ethics for yourself. Sixth: Be humble. No matter how much you know, there’s always more to learn. Snooth: Do you look back and see that there has been a golden age for wine or are we in a golden age for wine now? EM: I don’t spend a lot of time trying to identify “golden ages’’ for anything. Certainly, it was less expensive to learn about Bordeaux and Burgundy 20 years ago, before prices really started to skyrocket… But back then there was a much narrower range of wines available. Today, we can buy fascinating wines from an enormous variety of grapes and regions and producers, many of which weren’t on the shelves as recently as five years ago. Given the diversity of wines and wine styles today, now is the golden age. Snooth: Do you believe in the notion of the “American palate”? Why or why not? EM: I do think there is some truth to the idea of “the American palate,’’ but I believe it’s changing. Ten years ago, when I moderated tastings for American consumers, most of them preferred the wines with plenty of upfront fruit, a hint of residual sugar and a big, mouthful of flavor. Snooth: What will the next break out variety or region be? EM: I wish I knew! I do think climate change is pushing the boundaries of where wine grapes can be grown, so I expect to see some surprising places emerge as new regions. In Europe, I think Portugal, Slovenia and Greece will become better known – if they keep their prices down. I’d like to think that Bordeaux will make a comeback among hip sommeliers, because contrary to popular belief it offers plenty of great wine bargains. Snooth: What wines are you drinking more of lately? EM: Since it’s summer, I’m drinking more whites and rosés than usual. I’m rediscovering Soave, enjoying Aligotes from Burgundy, sipping Muscadet and gulping down my favorite rosés from Provence, which I far prefer to any other rosés. In reds, I’m drinking Cerasuolo di Vittoria from Sicily, a DOCG blend of Frappato and Nero d’Avola, the great 2009 Beaujolais and Loire Valley reds. Snooth: What wines are you drinking less of lately? EM: I’m drinking fewer wines from California, made from Zinfandel, Chardonnay and Cabernet, and avoiding Argentina. Snooth: What is your desert island wine and what would you want to pair with it? EM: I always hate this question because I really wouldn’t like to be limited to only one wine. Not to mention questions of logistics: Is there refrigeration? Is it a hot tropical island where only coconuts and fish are available? Do I have to cook myself, etc? That said, my first pick would be red Burgundy. I could be happy with any of a number of bottlings: especially from J.F. Mugnier, Christophe Roumier, or Armand Rousseau. I would drink it with perfectly grilled wild salmon, with my special Pinot Noir and shallot sauce and a ragout of several varieties of wild mushrooms. And I’d have a delicious grower Champagne on hand to toast my rescue from the desert island. Snooth: What was the last wine that reminded you how special wine can be? EM: I’ve just gotten back from Bordeaux, where I tasted dozens of spectacular wines. But drinking 1983 Chateau Lafite-Rothschild poured from jeroboams at a dinner in Lafite’s cellar was truly special. It wasn’t just the taste of the wine (which was fantastic, by the way), but also the context, which reminded me how much the specialness of wine has to do with bringing people together. The dinner followed a competition among eight university wine teams and was relatively small – about 60 people. Some stood up and sang, including Baron Eric de Rothschild, and we all danced among the fermentation vats to music played by a small band, as plenty of ’83 Lafite flowed. THE WORLD OF FINE WINE: Issue 30, 2010 — Maybe it’s time to get over the guru. 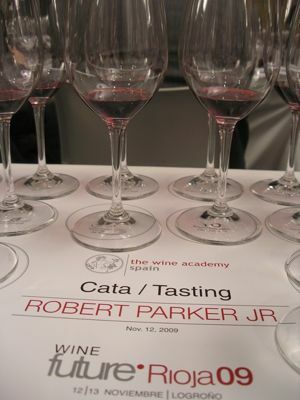 When my critical biography of Robert M Parker Jr was published in 2005, his far-reaching influence in the wine world had been growing for 20 years, sparking endless debates over whether his immense power was a positive force— or a negative one. The recipe is simple: Take one wealthy owner with towering ambition, mix with a star winemaker, limit supply, and add lavish packaging. Sprinkle with marketing hype and garnish with attention-grabbing price-tag. Yes, you need a grape source too, but a high-concept wine starts with an idea, not a vineyard. It’s all about the illusion of uniqueness. The emphasis is on massaging critical reaction instead of bringing out the potential in some named vineyard plot. Despite all that talk about “expressing terroir,” many of them taste alike—dense, sweet, chocolatey, and hi-octane. They’re being made to formula. California has a long history of this. In the 19th century, the state’s immigrants produced their own ideas of Old World classics, freely slapping labels on their products that proclaimed “St.-Julien,” “Burgundy” or “Champagne.” If they couldn’t match the reality, they’d ape its appearance. Too many Californian wine producers are still doing just that. The high-concept approach has reached its zenith in the calculated creation of cult wines. More than a decade ago, the first scarce, mailing-list only bottlings annointed with high scores soon had prices reaching dizzying heights as demand outstripped supply. What producer wouldn’t want to get in on action like that? Some figured out that if you can mimic a famed wine, you’re likely to be mistaken for one. You don’t need to own vineyards or even a winery – just a corner of a custom crush facility. Name dropping, though, is essential for credibility. That requires deep pockets to hire a top winemaking consultant who’ll hook you up with grapes from a special mountainside plot to give your wine a “sense of place” beyond the letterhead and label. Consider Levy & McClellan, named for a husband and wife team with top-drawer wine-\making credentials (Bob Levy at Harlan, Martha McClellan at Sloan). The wine is from a vineyard planted only five years before their first vintage, 2004. The price of the 2006? $500. Yes, really. Most high concept wines are best understood blind, where it’s easy to discover that, for all the terroir talk, they lack genuine distinctiveness. Take Dana Estates’ three single-vineyard cabernets at $275 each. 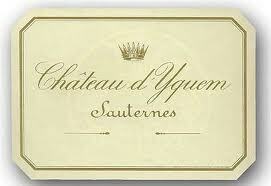 Made by Philippe Melka and first released last year, all share a similar over-extracted, oaky-sweet character. They are not remotely in the same class as balanced, richly layered reds, such as Mayacamas Vineyards, Philip Togni Vineyard, and Corison Kronos Vineyard in the Napa Valley or Ridge Monte Bello Cabernet Sauvignon in the Santa Cruz mountains—wines that continue to underwrite California’s reputation as a fine wine region. High concept wines are still being invented, particularly in the Napa Valley (and, don’t forget, many wines made in 2007, before the downturn, are only now coming on to the market). But in the past year even well-known cults that once sold out have felt the impact of the financial crisis as mailing list customers dropped their allocations and restaurants said “no thanks.” Some proprietors are holding inventory; others are shifting more grapes to lower-priced second labels; a few are cutting prices and a few may not survive. In tough times luxury buyers usually opt for blue chip quality. I don’t see a big demand for $100-plus reds with high spin-to-reality ratio coming back any time soon. LIKE EVERY WRITER who spends years laboring on a book, I hoped for lots of advance buzz to build interest and a slew of positive reviews after publication. But I didn’t expect the fevered reaction from Parker’s fan base that began while the book was still in the editing stage. Months before publication, a copy of the manuscript somehow fell into the hands of one of Parker’s acolytes, who leaked a few tantalizing tidbits from the book in a bulletin board post on Parker’s Web site, eRobertParker.com. These postings included a story I had already decided to delete, largely because I felt it would lead to irrelevant French-bashing—which is, of course, exactly what happened in a long thread of heated discussion by people who hadn’t even read the book. What captivated Parker’s fans far more, however, was a reference to a story that is in the book: Parker was at a black-tie dinner in Japan when a minor actress leaned provocatively toward him, exposing significant cleavage for the camera. This led to endless, juvenile postings like “wish I had a job causing big-breasted Japanese women to jump into my lap” and jokes about “vitisexual” events. The chat room reactions were only the beginning. Once the book came out there were the usual and expected differences of opinion scattered throughout the one hundred plus mostly positive reviews that appeared in the United States and as far afield as England, Belgium, Chile, even India and Japan. One reviewer found my prose uncluttered, another thought it overly ornate; one thought there was too much about British wine writers, another not enough; and so on. But there were far stronger pro and con reactions as well. The book in fact proved to be a Rorschach test for wine lovers who had already made up their minds about the most powerful man in wine. People who couldn’t stand Parker and his influence thought I wasn’t critical enough of him. A few Parkerhating reviewers even misread passages written with what I thought was evident sarcasm and irony to make it seem as though I thought Parker was a saint. People who worshipped Parker thought I was too critical; some of them were certain I’d set out to dig up dirt on their hero and do a hatchet job. A few accused me of purposely including several false stories about Parker in the book, but it turned out that they were alluding to two incidents where I gave both one person’s version of an event and Parker’s very different take. On my book tour many wine retailers seemed eager to host signings, perhaps hoping customers who read the book would wean themselves from the dominance of a single palate’s preferences when buying wine. But a couple of wineries that had expressed an interest in hosting an event backed out for fear of incurring Parker’s wrath and having their scores lowered. This was yet more evidence, if I needed it, of just how powerful the Sage of Monkton had become. One finger-wagging man at a book signing in Washington, DC, asked me aggressively, “Are you mean to Bobby in the book? I’m not going to buy it if you are.” (He ended up buying two, perhaps because I patiently listened to his own stories about meeting “Bobby.”) On the other hand, one wine writer said he refused to review the book in his publication because he hated Parker and his 100-point rating system too much to even acknowledge his existence. But I also had a number of pleasant surprises on my book tour and met a remarkably diverse cross section of readers eager to delve into a story of ambition, wine, and global power. When the Nobel Prize–winning physicist Murray Gell-Mann was brought over to my table at the restaurant in The Little Nell in Aspen, Colorado, I was delighted to see he had my book under his arm. All these varied and frequently passionate reactions to my book in the months following publication made me realize that it had touched a raw nerve in the wine world; attacks from both sides meant that I probably came close to achieving my goal of writing a fair and balanced biography. In truth, I always saw the book in two parts: the first half, concerning Parker’s rise to power, is sympathetic; the second half, about the wine world’s reaction to his power, is critical of Parker. I don’t see how anybody could have actually read my book and concluded that I belong in the Parker camp. I find ample evidence in the book of my conviction that his infallible palate is a myth. But I don’t think Parker is the evil figure his detractors portray. I find his very American character appealing. This ambivalence on my part has prompted a universal reaction from readers: they want to know what I really think of Parker. Do I like him or not? But Parker is now two people: an often likable man, and the personification of a dominant brand that stands for certain ideas and a particular taste profile. In the end, it’s the brand and its increasingly negative effects on the wine world that trouble me.